It's 1907 and we've just invented the very first plastic, Bakelite. Before that fateful day, the stuff didn't even exist. It wasn't until the mid-40's that plastics truly made their way into our lives. Now, in 2019, it's an epidemic. We've produced 5 billion tons of plastic, enough to clingwrap the world. We're drowning it. 93% of Americans test positive for BPA in the blood stream. Our convenience is not only killing our planet, it's killing us. But how has it come to this? Who is to blame? There's no one to blame, but ourselves. Our throw-away culture. Our consumerism. Our lives of excess. Our apathy toward our home and our own bodies. It's time to stop. It's time we fix it. It's no longer a question of when, it is a question of how. That's where we come in. Join the movement to stop plastic pollution. Become an ocean warrior. From legislation to reducing your use to connecting our youth to the oceans in a direct way, we'll be your guide. We're declaring war on plastic pollution. 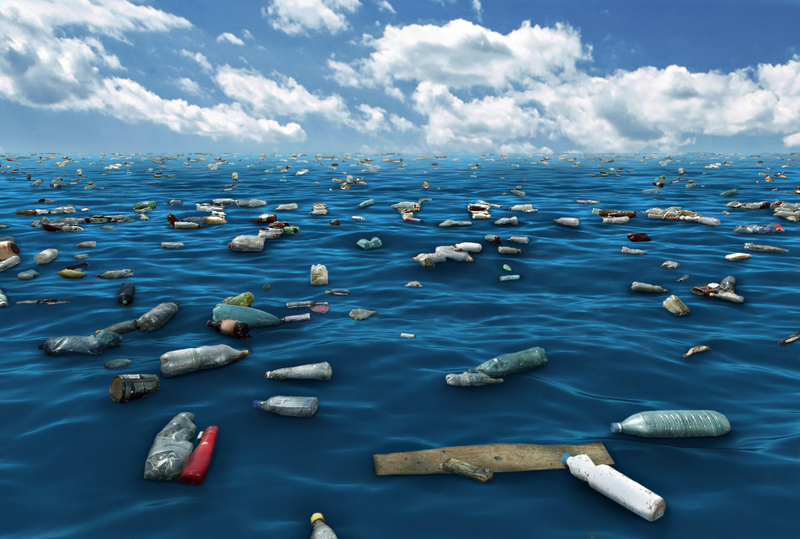 Plastic Tides is passionate about plastic pollution. We sleep, eat and breathe potential solutions, new scientific data, the latest news, and anything else concerning plastic pollution so you don't have to. While we love meeting people like us, we understand that everyone has their own lives with all sorts of other things to attend to, so we aren't asking you to jump into the thousands of articles about this issue or become your local supercharged activist (of course, we'd be stoked to hear from you activists as well!). We are simply asking for small changes in your daily life, a change that can make a difference. The ultimate goal is to change the mindset about plastics. What was once the answer to every household's endless supply of dirty dishes, is now the problem washing up on every shore in the world, showing up in the stomachs of every animal, and poisoning our waterways. When future archaeologists dig into the striations of the earth and discover "The Plastic Age", we want them to see the end of the age clear as day. The time has comes to do something about our gross infatuation with destroying our planet and that starts with our love for consumerism and single-use products. We promise to fight plastic pollution on every shore, in every forest, from the cliffs of Yosemite to the the jungles of the Congo, from the waters of Manila Bay, to the cold expanse of Canada's Northern Territories. We want every woman, man and child to understand the importance of this issue, but we especially want the outdoor industry and those that call nature their playground to be the change. The outdoor industry has a strong connection with our mother earth and it's time we as outdoor athletes truly respect her. Get yourself a refillable, reusable water bottle and fill it up! Boycotting bottled water has so many more levels than just reducing your use of plastic pollution. Bottled water companies are selling us on our own tap water at 100 times the price, are draining our parks for water they do not own, are giving your government an excuse not to fix your municipal water supply, are poisoning us through unknown chemical leaching, and the list goes on. Bottled water is not your friend. Stop it from sucking our home dry! Bring your own reusable bag to the store. Just say "No thanks!" REFUSE plastic bags when you're out shopping and the ocean will thank you! Plastic bags are enemy number one for our marine life. Turtles mistake them for jellyfish. Fish get wrapped up inside them. They clog our drainage systems causing massive flooding and pollution. They tangle themselves in our trees. They fill the stomachs of pelagic birds. Bring your own and tell a different story. In the United States, a single reusable grocery bag can save 312 plastic bags from the landfill per person per year. That means that the United States currently uses 100 billion plastic bags per year, amounting to 12 million barrels of oil used in production of these bags. Need we say more? This is insane. "No straw, please!" That's all it takes. Let's face it, we haven't used sippy cups since our diaper days. Why do we need a plastic straw? Straws are one of the worst offenders of single-use. Often we get a straw in our drink and immediately pull it out. Or worse, we're given a straw in its paper wrapper that we don't use, but it still gets thrown away. And don't even get us started on those silly tiny black straws that are meant for stirring or for putting in your cocktail as a garnish (really?) - USELESS! Stop the strawmeggan. We're adults (at least we think we are), let's stop with the oral fixation and enjoy our drink straight from the glass. Dispose of your butts appropriately! It's simple, buy local or get your veggies from your own garden and you're guaranteed to produce less plastic waste. Think about it. What do you put your veggies in at the grocery store? How about that "fresh basil" that's in a plastic container? Your local butcher will give you a great cut of meat and wrap it in wax paper. Your garden will give you as much as you put into it. Supporting local farms and food does more good than just reducing your plastic use. Local food travels less miles to your table, reducing your carbon footprint. Knowing who is behind your food means a lot. You can better support other causes as well! So be a Local's Only Foodie! Want to learn more ways to reduce your use? It's 1907 and we've just invented the very first plastic, Bakelite. Before that fateful day, the stuff didn't even exist. It wasn't until the mid-40's that plastics truly made their way into our lives. Now, in 2019, it's an epidemic. We've produced 5 billion tons of plastic, enough to clingwrap the world. We're drowning it. 93% of Americans test positive for BPA in the blood stream. Our convenience is not only killing our planet, it's killing us. But how has it come to this? There's no one to blame, but ourselves. Our throw-away culture. Our consumerism. Our lives of excess. Our apathy toward our home and our own bodies. It's time to stop. It's time we fix it. It's no longer a question of when, it is a question of how. That's where we come in. Join the movement to stop plastic pollution. Become an ocean warrior. From legislation to reducing your use to connecting our youth to the oceans in a direct way, we'll be your guide. We're declaring war on plastic pollution. Convenience is a silent killer. Bring a reusable bag to the store. Cigarette butts are plastic too! Dispose of your butts appropriately.